White 18 Karat Engagement Mounting with 12=0.48tw Princess Diamonds And 70=0.45tw Round Diamonds Center Diamond-Stone is Not Included - Sold Separately. 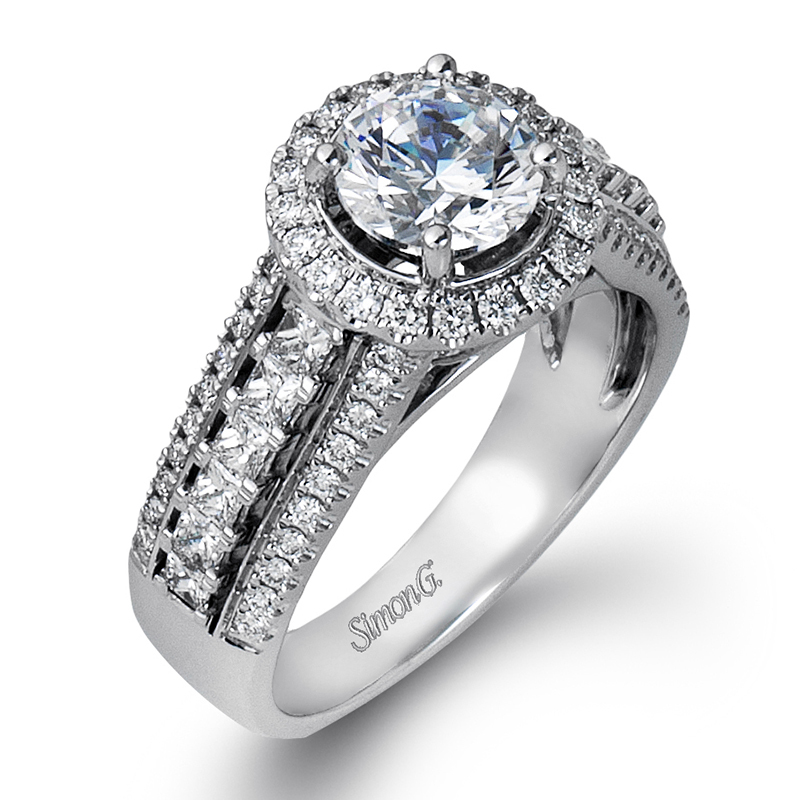 Side Stone Carat Wt. : 0.93 ctw.